Service-orientation is increasingly adopted by application and service developers, leading to a plethora of services becoming increasingly available. To enable constructing applications from such services, respective service description and discovery must be supported by considering both functional and non-functional aspects as they play a significant role in the service management lifecycle. However, research in service discovery has mainly focused on one aspect and not both of them. 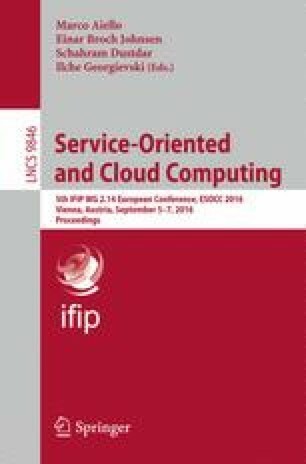 As such, this paper investigates the issues involved in considering both functional and non-functional aspects in service discovery. In particular, it proposes different ways via which aspect-specific algorithms can be combined to generate a complete service discovery system. It also proposes a specific unified service discovery architecture. Finally, it evaluates the proposed algorithms’ performance to give valuable insights to the reader. This research has received funding from the European Community’s Framework Programme for Research and Innovation HORIZON 2020 (ICT-07-2014) under grant agreement number 644690 (CloudSocket).